The PoleVault system is designed to simplify technology within the classroom. The system is wall mounted next to the teacher's desk and controls all of the video inputs for the PC, VCR/DVD Player, Document Camera and others to the overhead projector. This allows teachers the flexibility to switch between different technologies throughout their class, so that students can stay engaged in the curriculum. If you are having an issue with your Extron 'Polevault' system, please submit a work order to have a technician come out for a repair or call x1234 for basic Q&A's. 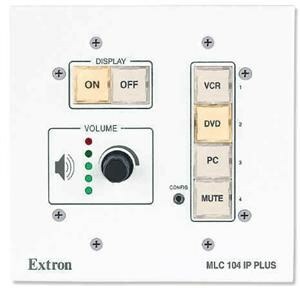 Below is a brief video tutorial from Extron on how to use the PoleVault classroom audio/video system.Their video contains extra hardware features that may not be included in our typical WUHSD standard classroom setup.